This book sets forth a set of truly controversial and astonishing theories: First, it proposes that below the surface of the earth is a biosphere of greater mass and volume than the biosphere the total sum of living things on our planet’s continents and in its oceans. Second, it proposes that the inhabitants of this subterranean biosphere are not plants or animals as we know them, but heat-loving bacteria that survive on a diet consisting solely of hydrocarbons that is, natural gas and petroleum. 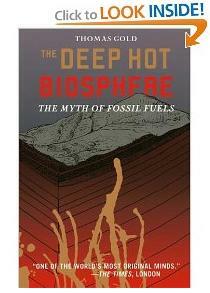 And third and perhaps most heretically, the book advances the stunning idea that most hydrocarbons on Earth are not the byproduct of biological debris (“fossil fuels”), but were a common constituent of the materials from which the earth itself was formed some 4.5 billion years ago. The implications are astounding. The theory proposes answers to often-asked questions: Is the deep hot biosphere where life originated, and do Mars and other seemingly barren planets contain deep biospheres? Even more provocatively, is it possible that there is an enormous store of hydrocarbons upwelling from deep within the earth that can provide us with abundant supplies of gas and petroleum? However far-fetched these ideas seem, they are supported by a growing body of evidence, and by the indisputable stature and seriousness Gold brings to any scientific debate. In this book we see a brilliant and boldly original thinker, increasingly a rarity in modern science, as he develops potentially revolutionary ideas about how our world works. Middle class Americans are under assault. Never have the hard working men and women of America been taken advantage of with the level of arrogance and obvious deceit we are witnessing today. Never has one issue been exaggerated more or forced upon the public with such a vicious and escalating fervor. Never have we seen these levels of hyperbole, lies and predictions of doom. Who can we trust? What is the truth? The American people yearn for someone other than biased scientists or complicit media pundits to give them the clear facts about this complex issue. 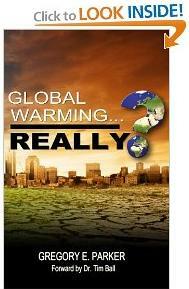 In his new book, Global Warming…Really? Gregory E. Parker explores the answers to this issue by blending common sense with a basic scientific look at global warming. He delivers a balanced, powerful and comprehensive look at the global warming alarmist movement and the lies which surround it. In, Global Warming…Really? Parker will reveal why these activists hurt their own cause by not practicing what they preach; the true motivation behind carbon taxation and why the money generated serves a more nefarious purpose than merely saving the planet; why the new Green economy will destroy jobs not create them and is more of a friend to organized labor than it is to the free market economy that built America. His unique perspective will expose how Global Warming Alarmists use lies and false promises to minimize the impact this issue will have on minority communities. Commissioner Gregory Parker was elected to the Comal County Commissioners Court on November 2, 2004 and again in November 2008, where he became the first African American and the youngest person to win election as a county commissioner in Comal County. Commissioner Parker has spoken out frequently on a variety of national issues to include; eminent domain, education and cap and trade, just to name a few. Commissioner Parker is a member of the International Association for Energy Economics, the United States Association for Energy Economics, the American Society for Public Administration, Section on Environmental and Natural Resource Administration and the Texas Oil & Gas Association. Commissioner Parker is an adjunct professor of government at Concordia University. Commissioner Parker holds a Bachelors of Business Administration, a Masters of Public Administration and is completing his Ph.D. in Public Policy and Administration. Commissioner Parker has also completed open courseware from Massachusetts Institute of Technology (MIT) in Energy Economics, Econometrics, Public Economics, Environmental Economics and Government Responses to Market Failure, Climate Change: Economics, Science, and Policy, Sustainable Energy.